Photos: On Laburnum. Kinsale, Co. Cork, SW Ireland. 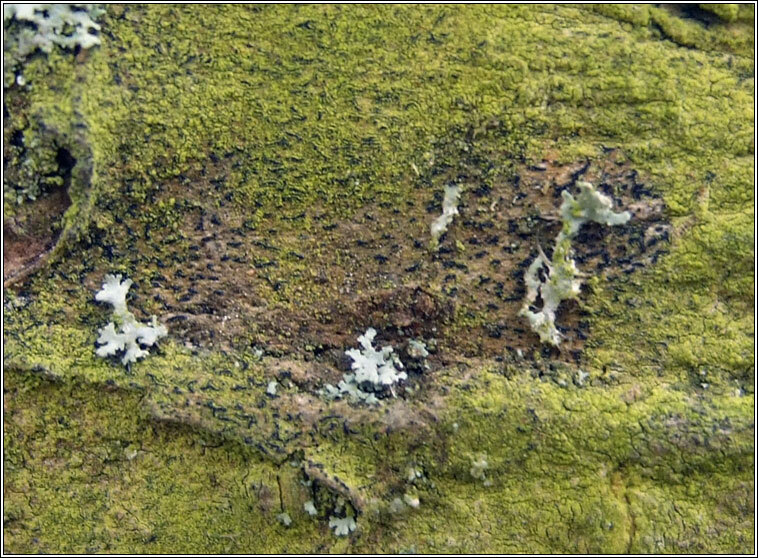 Thin dull-grey to olive-brown thallus, similar to O. vulgata but with shorter lirellae, to 1mm long. 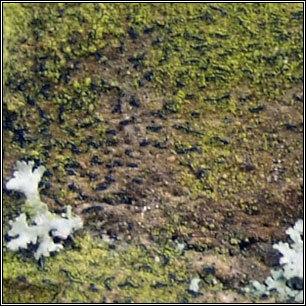 Scattered or contiguous apothecia, discs becoming partly exposed, exciple +/- uneven. Spores 4-7 septate, conidia worm-like. Often sterile but pycnidia abundant. Chemical reactions negative. Found on neutral and basic-barked trees; Ash, Sycamore and Elm. Most frequently recorded from eastern Ireland.